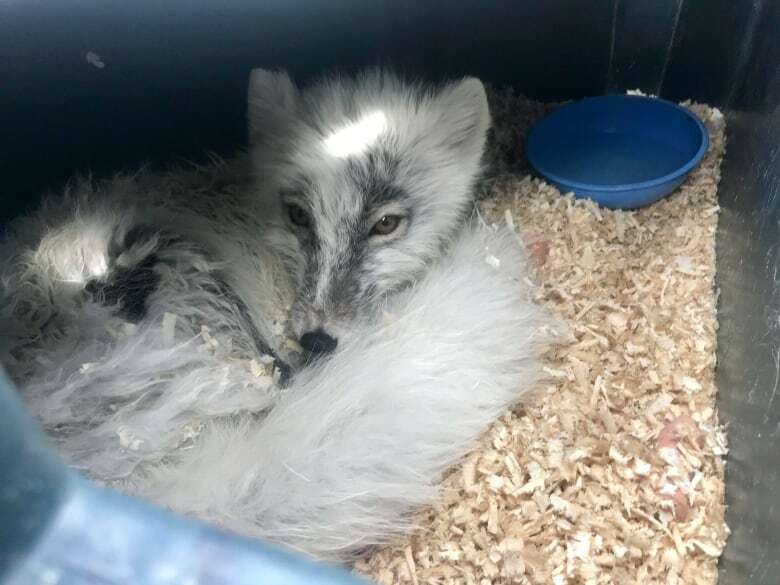 An Arctic fox generally isn't part of a crab fishing boat's bycatch, but one crew from southern Labrador managed just that last week. 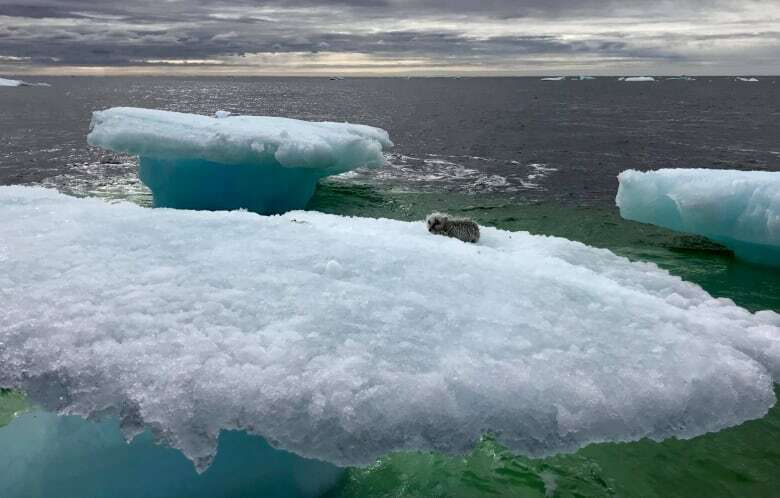 Alan Russell of St. Lewis said his ship was about seven kilometres offshore when they spotted something on a nearby iceberg. 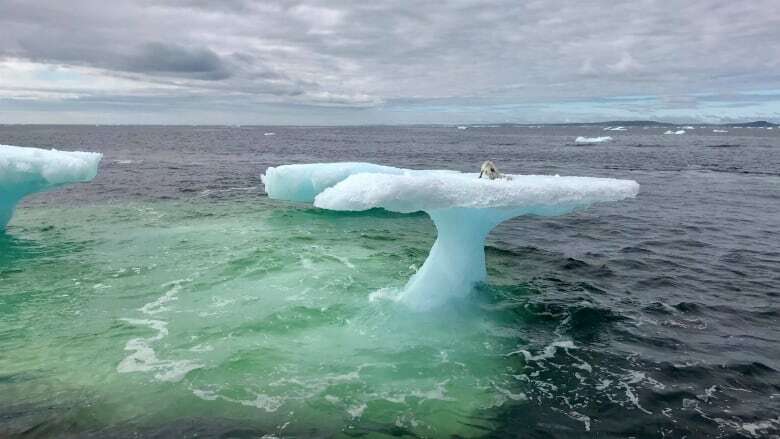 The crew tried to pull him from the mushroom-shaped iceberg tip, but the skittish fox wouldn't let them close. So they used the boat to knock the ice pan down and fished the fox from the water with a net. "He was in pretty hard shape because it was so cold in the water," said Russell. Once aboard, the fox — which the crew put in a plastic tote pan — wouldn't eat. But when the ship stopped in Pinsent's Arm for supplies, the crew put some sawdust in the pan to help him dry out. More importantly, they were able to get him to eat: Vienna sausages. "He likes them," said Russell. 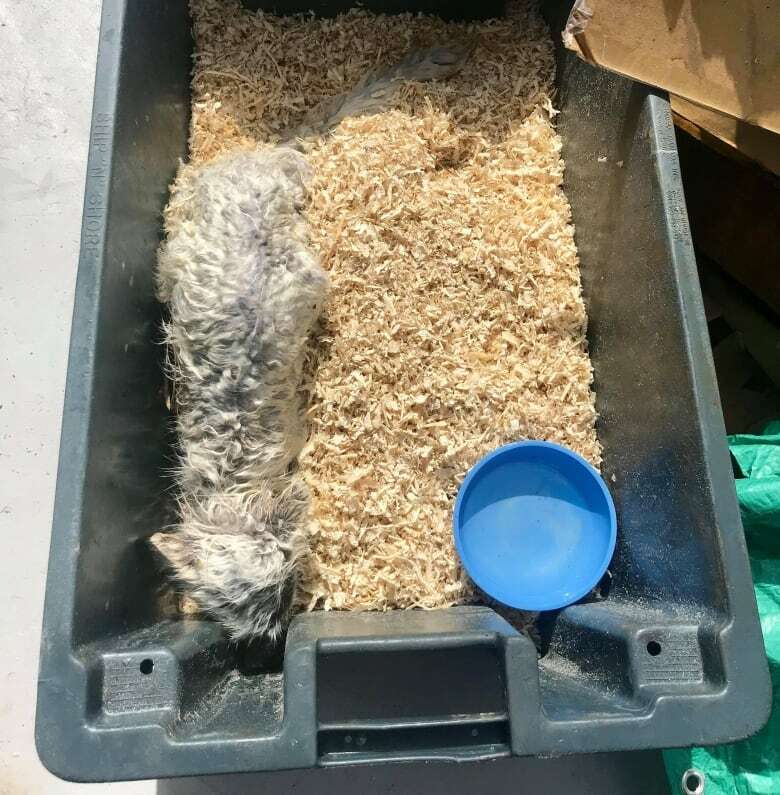 The crew brought him to port in William's Harbour, where they have been fishing out of, and kept feeding him for a couple of days before letting him go. "He wasn't aggressive at all," Russell said. "After a while, when he was coming around, he liked us more, because we were feeding him. And he didn't mind us after." Russell said he has never seen an animal like that so far from shore. He figures the fox was probably looking for food on solid sea ice and then got caught when it broke up. "He probably only had another day or so on the ice floe, or it would have foundered," he said. "And the way that the wind was, the ice was probably never going to go back into land. He's a pretty lucky guy." Russell said that when they last saw the fox, it was happy to be exploring some old dog houses in William's Harbour, a community that was resettled in 2017. "He looks a lot healthier now. He's running around everywhere, so he should be pretty good to go now." With files from Labrador Morning.